When you live in the middle of a desert, you grow used to the oven that greets you in the middle of the day. But I will never adjust to having temps over 100 once the sun goes down. I do my best to get out of the house so we aren’t cooped up every day, but it’s still a challenge to keep from going just a little bit crazy. I do well for pockets of time and then something happens to frustrate me: the cup of water dumps over, the website won’t load, the batteries died, the price changed, or the creative juices won’t flow. I am pretty bad with frustrations. But I’ve found that one of the quickest fixes for my mood is music. It’s an instant way to lower my pressure gauge. Sometimes I turn on kid music and dance with my daughter or blast top 40 radio and run laps in the living room. But the best fix this summer? 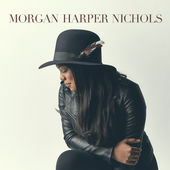 Morgan Harper Nichols – this album is so, so good. My friend Carey pointed me in this direction a few months ago and I find myself listening to it at least once a day. The truth stops me in my tracks. The music is medicine to my soul. Here’s my current favorite off of the album, although I will probably switch to something else tomorrow. 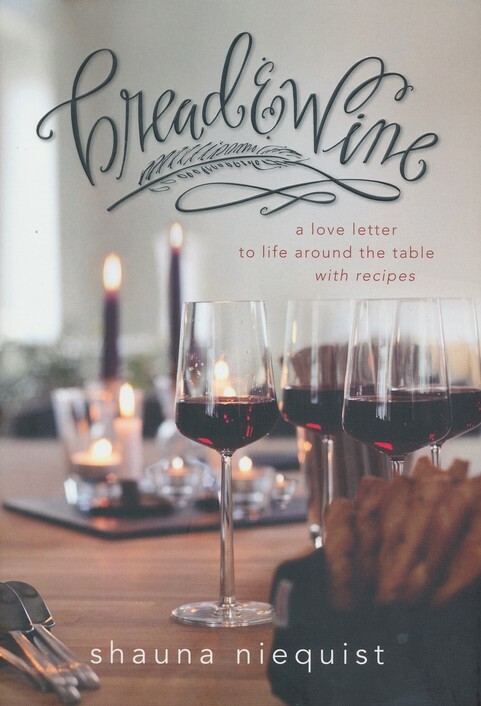 Cooking through Bread & Wine: A Love Letter to Life Around the Table with Recipes has also been aiding my summer sanity. I love me some Shauna Niequist. I feel like we sometimes share the same brain. This book did wonders for challenging my ideas on community and hospitality – as in – a paradigm shift. Some basic observations. Hospitality is not the same as entertaining. I want a tribe of people who know which drawer holds my spoons. 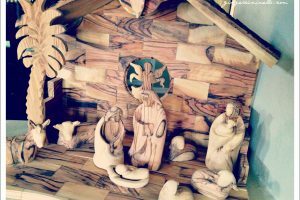 There is something sacred that happens around a table if I will simply take the time to notice. I don’t have the space to give you a full run-down, but know that this has been one of my favorite reads of 2015. I’ve also given away three copies of this book thus far. There’s another sitting in my Amazon shopping cart. The food is good, but I really love rereading my favorite passages and notes as I prepare to cook. I’ve never cooked all the way through any book, so this seemed like a great start. I made salad dressing for the first time. (As a Chopped fanatic, I’m only mildly ashamed to admit this to you.) I purchase almond meal and crafted homemade breadcrumbs. I just purchased new towels to try to make my own bread in the coming weeks. WHO AM I? “I felt within myself the desire to shoo her out, to hide, to keep her from the disorder that is my real, actual life some days. But I took a deep breath, and she sat there listening to me across my dirty coffee table, and we talked about community and family and authenticity. It’s easy to talk about it, and really, really hard sometimes to practice it. This is why the door stays closed for so many of us, literally and figuratively. One friend promises she’ll start having people over when they finally have money to remodel. Another says she’d be too nervous that people wouldn’t eat the food she made, so she never makes the invitation. I feel like reading this book pushed me to pursue deeper friendships, especially when it comes to the girlfriends in my small group. 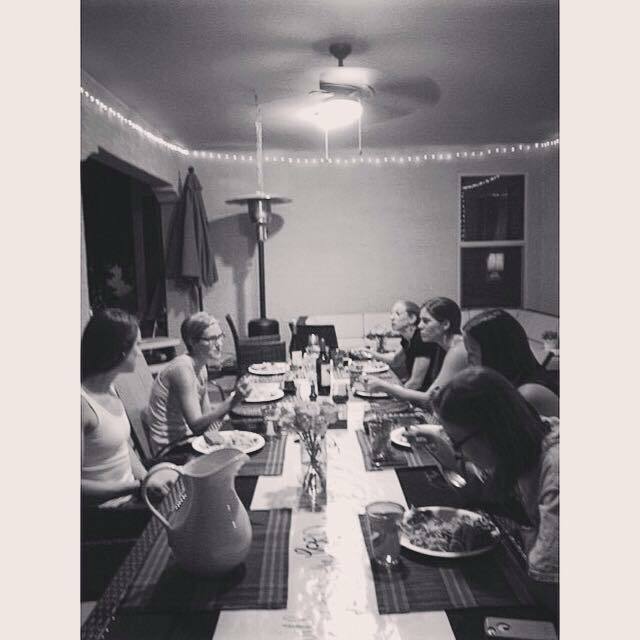 We’ve committed to eating together once a month in the coming year. We will meet in a home to break bread, ask the “how are you REALLY doing” questions, and study the word. I have no doubt that this tribe will come out of this experience changed. My people, my tribe – I like how that sounds. And lastly, I feel like I should tell you that yesterday was pretty much a wash. I struggle daily with balancing my various roles. On the days I get good time in the word, play with my kiddo, and maybe exercise, I feel some guilt about not working. And on the days when I try to make calls or send e-mails while my daughter is awake, I feel guilty about screen time or just not spending time with her. Yesterday I tried to cram way too much into her nap time. I wanted to clean the house, record a podcast, send e-mails, read, and exercise. Sounds like I have 6 hours to work with, right? FALSE. I get on average about an hour and forty-five minutes. At the hour and a half mark I began crying. Do you ever feel like you have so many “I HAVE TO DO THIS” that it’s hard to ever get to the “I WANT TO DO THIS”? I was still living in that frustration around 7:30pm. My daughter was in bed, my husband left for the gym, and I was gearing up to do a workout DVD in my living room. But I was tired. I was sore. And a dear friend text to say, “What if you just don’t?” So I thought, “Lord, can you take care of me tonight?” I filled my water-glass, took a shower, lit a candle, and then wrapped myself up in clean sheets. I had recently checked out a new book at the library and I was finally giving myself the space to read. 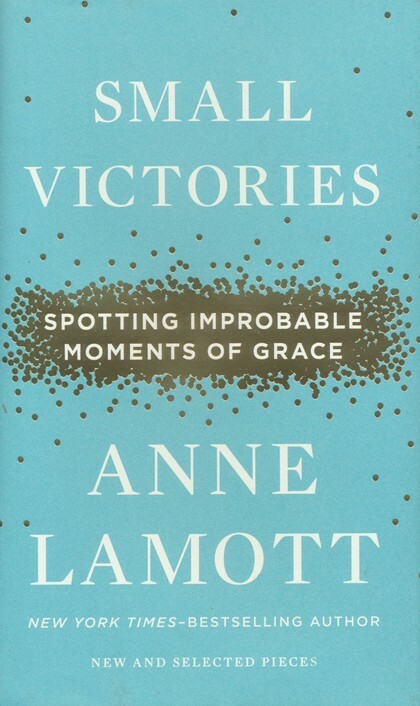 Enter Small Victories: Spotting Improbable Moments of Grace by Anne Lamott. I love tender, crass, poetic, thoughtful Annie Lamott. She has eyes open to things I often miss. This quote in particular brought a smile to my tired face. You can change the world with a hot bath, if you sink into it from a place of knowing that you are worth profound care, even when you’re dirty and rattled. Who knew? The lesson of this summer has been to remember that God loves all of me extravagantly. He cares about my obedience, my service, and the condition of my heart- but He also cares about my body, my soul, and my spirit. 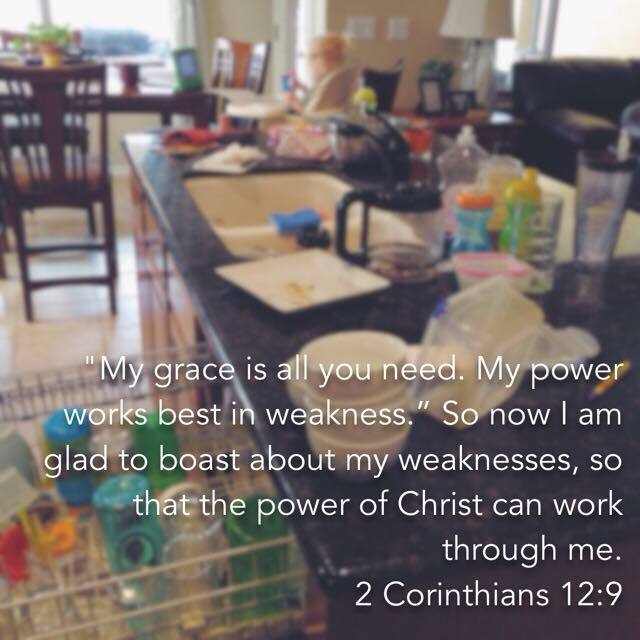 He sees my weakness and He promises to match and exceed it with His grace.